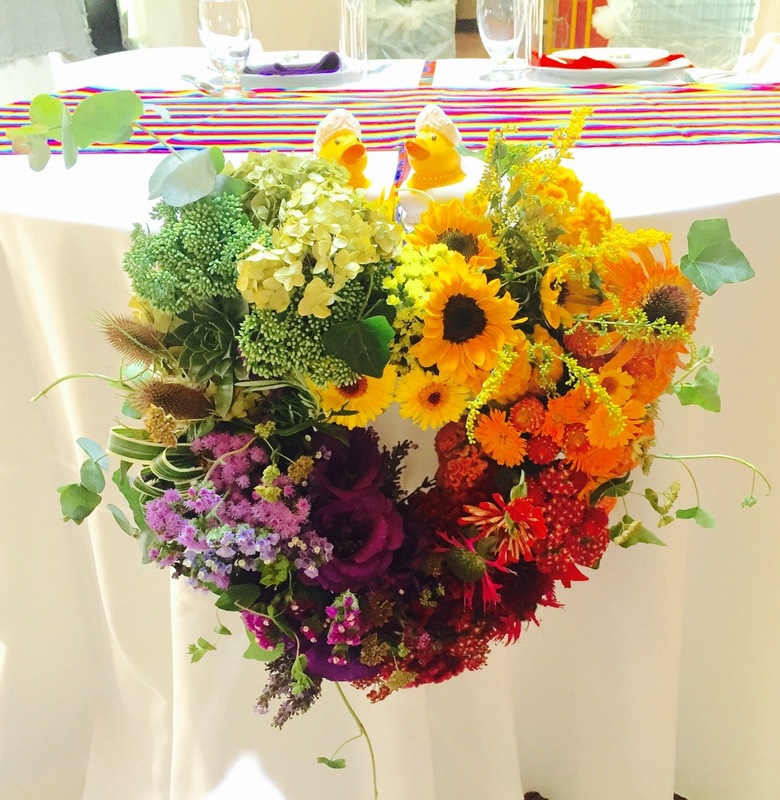 Using only the freshest, most radiant organic flowers customized for your event. 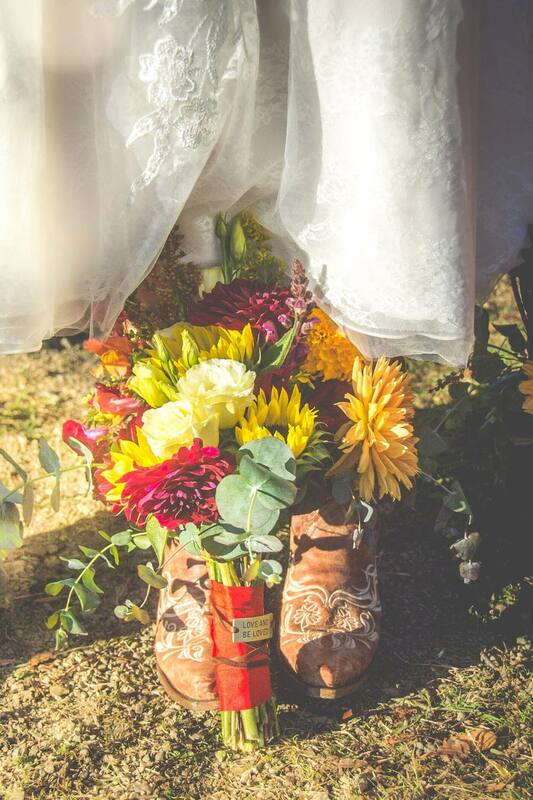 From Field to Vase - inspired by Nature on your special day. Overwhelmed by all the decisions and choices that are suddenly part of planning your big day? I'll gladly meet with you over coffee or tea and chat wedding flowers with you. By the the time we've finished our coffee, you'll know have a better idea on how flowers can make your day even more memorable. Only a limited number of weddings and event dates are available. If you are planning to include local, seasonally available, organic, vibrant and fresh flowers customized for your event, I'd love to work with you. I am committing to sourcing blooms from our own fields or from other Pennsylvania farms that we support. I offer full service local flowers, including bridal bouquets, boutonnieres, centre pieces and floral crowns & wreaths. Or, for those with patient and talented friends - I will happily provide DIY wedding flowers which will include buckets of all the essentials flowers for you to arrange. I'll gladly discuss the range of options available within your budget. Please contact me to determine date availability and to set up a free consultation. Rainbow wreath for sweetheart table - August wedding. Our service includes a written contract detailing all flower needs, arrangement styles & types, pricing, delivery, and every other aspect of your event pertaining to your flowers. Please note that no specific flowers are guaranteed; availability is always subject to Mother Nature’s whims. "Thank you so much for doing the flowers for our wedding> They were on eof my favorite parts of our wedding, and I got so many compliments on them. The colors were just what I wanted for a bright, summer wedding, and the variety of flowers was amazing. I can't thank you enough." 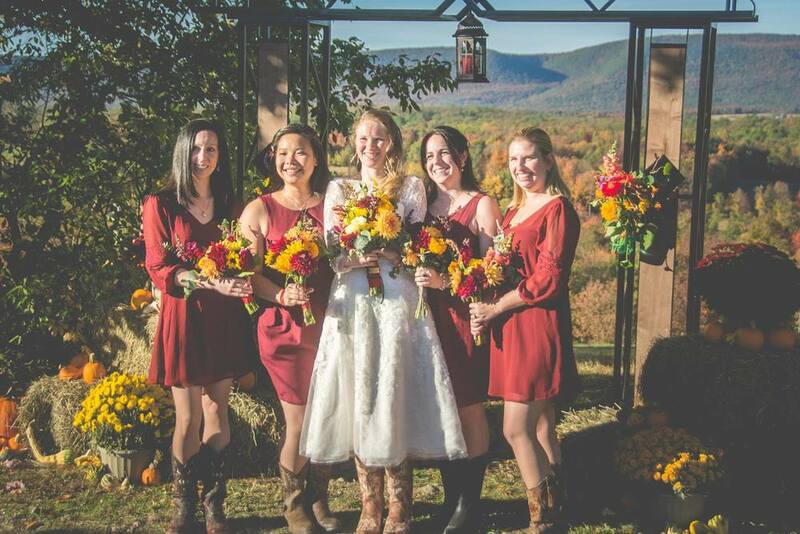 Jen & Zach used our DIY flower option for their September wedding. "We had so many compliments on how beautiful the blooms were. The colors were so vibrant and stunning - I absolutely loved all of the flowers you provided for us! My friend sara made all of the bouquets, boutonnieres, and decoration bouquets for the ceremony and the reception. We had various containers/jars at the ceremony, placed on a stack of crates. Each girl had a bright bouquet, and she really did a fantastic job with my bouquet; it had really bright pops of color, which was exactly what i was hoping for. The guys had simple flowers - nothing big/fancy. At the reception, we had filled paper lanterns with flowers (it was a little cumbersome, but I thought it looked awesome), so we had low bunches of flowers on the tables that way. 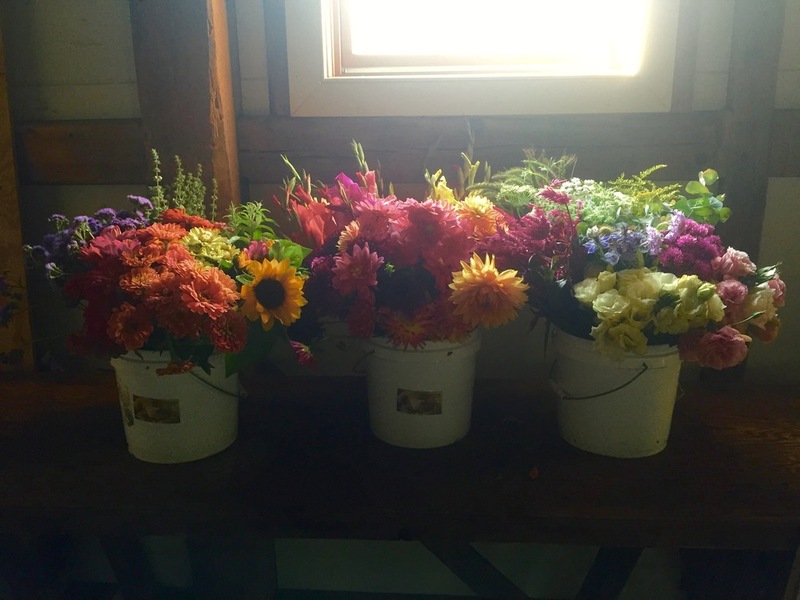 The flowers from the ceremony were brought over to the barn and placed around the serving tables as decorations. It was heartbreaking to throw anything away afterwards! We can't thank you enough for being so easy to work with and providing flowers that were above and beyond our expectations!" "Sabine's flowers made our day beautiful. She had wonderful vision and really made the outdoor space where our wedding was held look like a magical woodland oasis. She was extremely easy to work with, and is very personable. We were not sure exactly what we wanted to start out with, however she was able to execute a wonderful concept from our scattered conversation. She handled a very last minute request enthusiastically and did not seem annoyed at all. We were very pleased with her services."